When you put your equipment through some minor testing you’ll know what the limits are and the expectations for the final result. Most work in photography, at least for me, is centered around being able to create an image when I can only control part of the lighting. I then need to decide what to do, and (as per my preference) if additive light is the best option in the situation. Before I can do either of those things, I need to know if my light can do the job I need it to do at the power it may or may not be capable of, and at what approximate distance it can add enough additional photons to capture the image. First off, this testing was done with a set of lights I personally own, the Godox AD200 TTL Pocket Flash with the Godox AD-B2 Dual Power Flash Bracket accessory and a set of Profoto lights from William Morton of Camera Ready Studios in Dallas, Texas. Morton graciously allowed me some studio and rental time between other photographers and clients to do this testing as well as access to the Profoto gear. Also, I would have preferred to have been able to add to the test the AD400Pro Witstro All-In-One Outdoor Flash or AD600Pro Witstro All-In-One Outdoor Flash from Godox or the Profoto B2, but was not able to source the lights when I could have time with the Profoto B10 OCF Flash. In this test, the Profoto B1 500 AirTTL is being used for this scenario (as opposed to the newer Profoto B1X 500 AirTTL) because it’s what I had access to and the internals are the same as the B1X minus the modeling lamp. The B1 also has the same maximum power output as the B1X at 500 watt seconds, and besides some cosmetic differences the B1 is the same for power efficiency as the the B1X. 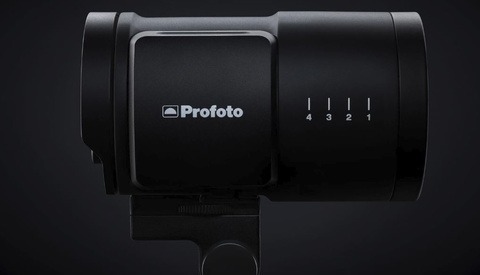 As per Profoto’s own site and videos explaining the B1 versus B1X, there was no output difference that I could find. Why is the Godox AD200 being tested here in the first place? Well, I personally own and use the AD200s for on location head shot work and some wedding imagery and I wanted to see if there was a reason for me personally to look at Profoto as another option. A few reasons why I chose the AD200 initially is that they travel as easy as my Canon Speedlite 600EX-RT and Yongnuo Speedlite 600EX-RT flashes, and I don’t have to change the way my bag is structured to fit everything when switching between weddings and commercial work. When going between headshots and portraits to events, it’s nice to be able to assemble your kit back and forth from the week to the weekend and vice versa because the lights are so similar in size. Lastly, the reason behind the testing and the catalyst to this article was to see the maximum light output of the Profoto B10. With the B10 being tested along with the other lighting options here, it fits squarely between the on location higher output strobe versus a more compact light with the obvious amalgamation of the two with the AD200 and AD-B2 options. Also, the Profoto B10 is just a cool light quite honestly. The studio I tested the lights in is a full white room with an approximate 30 foot by 40 foot area with an infinity cove in one corner of the room. Light bounce can be an issue in testing but the lights were centered in the room to avoid as much bounce as possible. 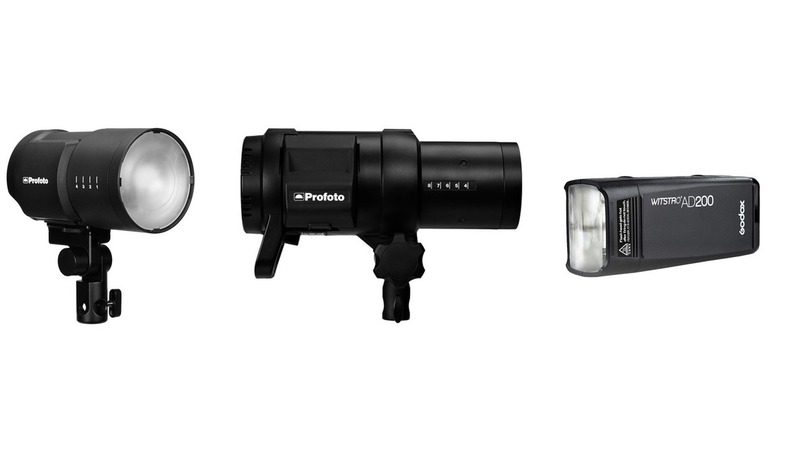 The Profoto lights use a recessed bulb as the Godox can use a fresnel head or an exposed bulb. In this case, I opted to attach the AD200s to an AD-B2 accessory with the exposed bulb that allows the combination of both lights to make a 400 watt second strobe light. I can then turn on both or just one AD200 in testing for the 200 watt second power of only one light. To make things as fair as possible, measurements were taken from the front of each bulb or lens either pointing at the light meter bare bulb or pointing away from the light meter and into the back of the modifier. 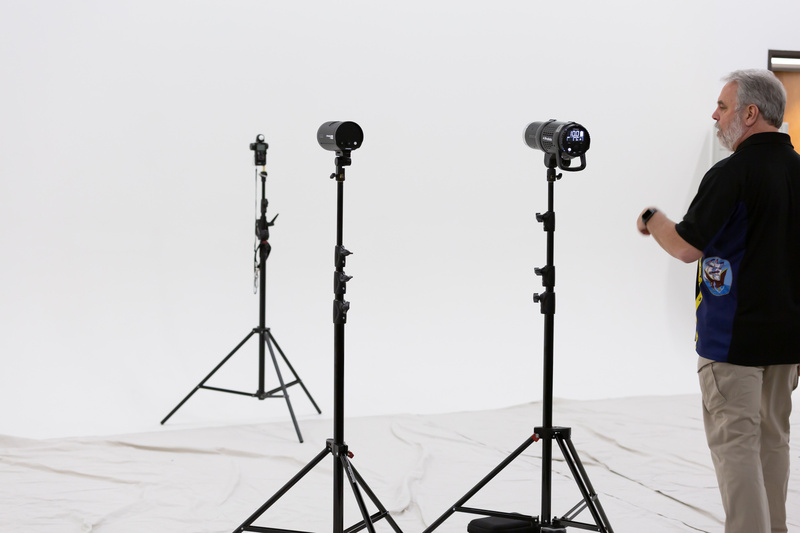 Now the reason for a bounce modifier, because Profoto lights are not omnidirectional, the only way to make them as equal as possible in testing in a modifier is to use a bounce umbrella. This will break up the light and then propel that light into a single direction that equalizes the light to a greater degree from the entire front of the modifier. 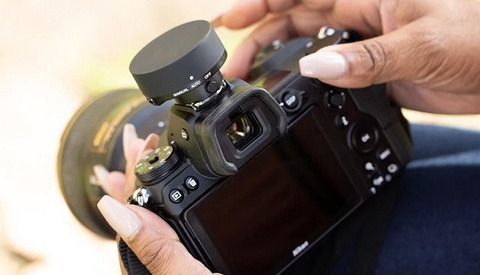 For photographers shooting with big modifiers or umbrellas for full length portraits and/ or large groups, higher powered lighting makes all the difference to have an even light to feather on or across subjects that due to its size may be overall a fairly soft light source. The light's heights were measured to 60 inches off the ground from the middle of the bulb, and were measured to be 10 feet from the front of the bulb or lens to the light meter's diffuser dome, which was also measured at 60 inches off the ground as well. There was four feet of space behind the light meter before meeting the wall. The light meters used were a Sekonic L-758 Digital Master Light Meter on a stand and a Sekonic L-308 Flashmate Light Meter with diffusers out. The Sekonic L-308 confirmed that the light spread was even in the 12 inches around the Sekonic L-758 and that the most direct light was going towards the L-758. The umbrella used was a Westcott 43 inch Apollo Orb with diffusion and the front of the bulbs/ lenses were 10 inches from the back center of the umbrella. Settings for the light meters were set to ISO 100, 1/125th of a second, and set to flash only while each light was set to 1/1 or full power. Each strobe was fired five times to average the result (though no light had any change in power). It’s right on the mark with tests from other photographers that the B10 is only a half stop difference in power compared to the B1 whether directly lit or in the Apollo Orb. The interesting piece is that the two AD200s combined in the AD-B2 are now nearly as powerful as the B1 at only one tenth of a stop less power. Does this mean that the Godox lighting is using the wattage more efficiently? In my opinion I don’t think so, as we look at the single output of just one AD200 in the AD-B2, it’s consistent in power with being four tenths of a stop less than the B10. A 200 watt second strobe in the AD200 versus a 250 watt second strobe in the Profoto B10 should be a difference between three tenths and four tenths of a stop so it’s right where it should be. The real question is why is the B1 not producing more power? The expectation should be a half stop more light for the 500 watt second strobe in comparison to the B10, but we don’t see that in this test. Could it be an inefficiency in the strobe using the power it has available? Could it be the internal reflector and lens being of a different design than the B10 which is now more efficient? These are Interesting questions for anyone looking at the B1X for there next on location strobe with the B10 as an option. What I have seen previously is the Profoto B2, a 250 watt second power pack strobe, is exactly one stop under the B1 in power. This understanding is from other times using Profoto lighting and not during this test so only personal experience. The B1 and B2 look to have very similar front lens and bulb designs. I would venture to guess that the B10 is an improvement in this design and therefore has the improved output, though this is only a guess. Therein lies the rub that many Profoto users have been using less powerful strobes than expected in their day to day work if they are using the B1 and by extension the B1X strobes. For power sake, they would be just as well off with two AD200s and the AD-B2, though obviously without the value of the Profoto modifier system that they would most likely already be invested in. 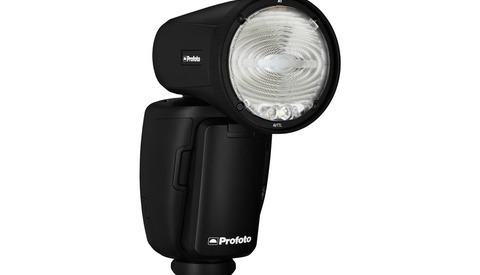 If my hunch about the front element, reflector, and bulb is correct, hopefully Profoto has looked at the power outputs from the B10 and begun discussions about updating their top of the line strobe in the near future. Eventually, I'd like to test a few more types of lights and really compare how they stack against their competition at least for power. Obviously, other things matter beyond the maximum output a light can produce including the color consistency, recycle time, and the modifier ecosystem that you are buying into. Though, if your first concern is maximum light output then this testing may make you re-think your options. What lighting would you like to see tested in upcoming articles? Are you surprised by the results of this test? You could try and kill ambient then roll the meter down to 1/60th or 1/30th to rule out a flash duration issue. Not sure what they are supposed to be spec'ed at. 2 separate light meters both in flash mode giving the exact same numbers so not any issue with spec as par as I can tell. The behind the scenes images were ISO 400 at 1/60th of a second at f/4 so the ambient here is well below the 3 stops I would worry about for light adding to flash. I meant try the b1 at the slower shutter speed to see if you pick up a few 1/10ths of a stop output. It shouldn't, but it rules out if you are slightly clipping some of exposure at 1/125th. I did check down to 1/60 and up to 1/160 and so no difference in outputs, though I would agree that there should be zero difference. Seen too many of these light meter test videos to last a lifetime. Real world usage is too much effort? Hey Rob, I would read the second paragraph as it states why testing matters specifically for real world usage and needs and this isn't a video. I use the B10 in the real world, without shooting it at a light meter, I just get on with it. Adjust setting as needed. On the job. Because every job is different. It's different to my Elinchrom ELB400 and I work the settings accordingly. I know it's not a video, but you have to agree, there are a plethora of them. I speak personally, when I say I think they are pointless. That said, if people want to measure everything, far be it from me to say they are wrong. Rob if you don't use a light meter that's fine. But claiming that it's not real world usage when using one seems a tad illogic. Now some people might have a hard time connecting test data to "real-world" situations and that's fine, it does however not make them obsolete. I like the testing, it's good to know, but I wouldn't choose a model or a brand based on output tests unless the tests showed clear signs to stay away from that strobe. Not many people should have only one model of strobe and a unique output. Should be about knowing what you need to take on the job. Rarely do I use anything at full power. Now I know a guy at races who really thinks he has 1600ws out of his AB1600. He does not need that much power anyway and they are perfect cost /value because they do fall a lot at races with sudden weather changes, but to me that naming is clearly wrong. The reflector plays a big part of how much light is put out by a flash. 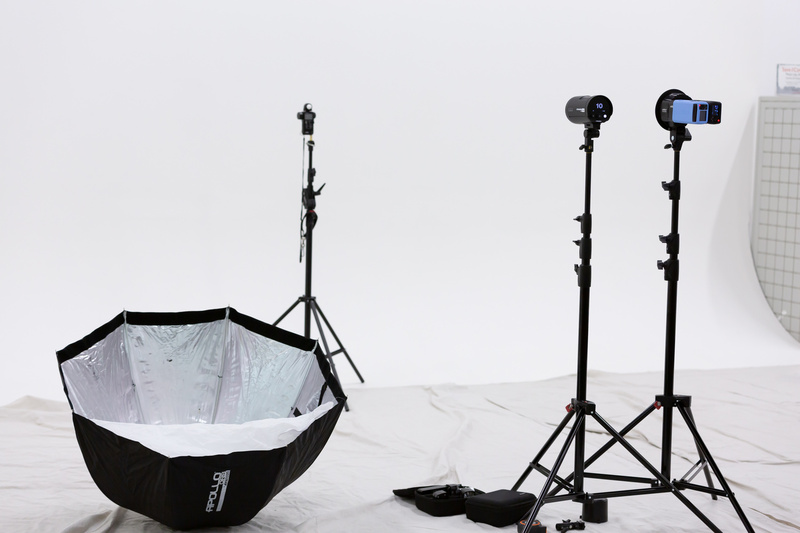 The guess about the integrated reflector of the Profoto strobes might be a good guess. I would like to see how they work with a given modifier. 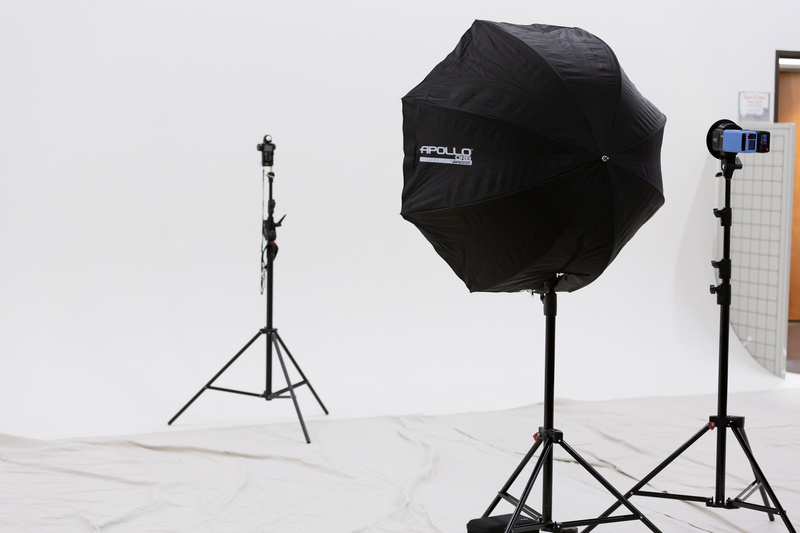 example is a Godox light with 24x36" softbox vs the Profoto with 24x36 softbox. how far does the light spread? how much does the softbox cost you in light output? etc. Do the AD200 overheat quick? I've been using the 860II and they tend to overheat. The 860II is a small speedlight so it will overheat if used rapidly. Mind you, it still holds better than SB-900 and as good as the SB-910. I never had overheat issues on the AD200. But I'm usually not at full power. Even at noon.